Jason Gillespie has named a 13-man Sussex squad for their clash with Durham, starting today (Wednesday) at Arundel. Jofra Archer, Laurie Evans and Chris Jordan are included in a Championship squad for the first time this season. The four-day fixture is part of the annual Rathbones Arundel Festival of Cricket that this year concludes with a T20 fixture between Sussex Sharks and Ireland as part of the Ed Joyce Testimonial Year on Sunday. Having recovered from a side injury, Will Beer returns to the squad after a three-match lay-off. Stiaan van Zyl remains unavailable as a result of the knee injury that ruled him out of the Royal London One-Day Cup campaign. 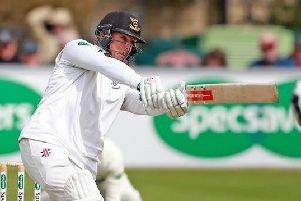 After five matches in this year’s Championship – the last of which concluded over a month ago – Sussex sit in fifth position in the table with one win, three draws and a defeat. Their 54 points put them two points behind this year’s visitors to Arundel, fourth-placed Durham. The north-easterners won their most recent fixture against Derbyshire last week, recovering from a first-innings total of just 96 all out to eventually record a 95-run victory on the final day. That was their second win of the season, to go with a loss, a draw and an abandonment. Sussex head coach Gillespie said: “We’re looking forward to our trip to Arundel. It’s a wonderful place to play cricket, the surface looks fantastic and there’s always a good atmosphere. Play in the match against Durham begins at 11am on all four days. Tickets are available on the gates, which open at 9.30am. Sunday’s T20 match against Ireland gets under way at 1.30pm, with gates opening at 12pm. Tickets can be purchased online in advance HERE. Information on the Sussex Sharks squad for this match will be released in the coming days.